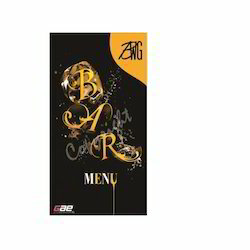 Captivating the skills of our professionals, we are involved in printing Augmented Reality Menu Cards. 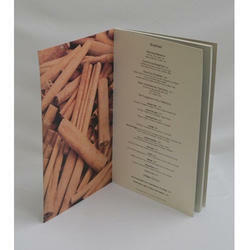 We have achieved a renowned status in the market by offering a best quality of Printed Menu Card. We are ranked amongst the most trusted firms deeply engaged in offering a wide range of Printed Menu Card. With the assistance of well-equipped infrastructural setup, we are offering a quality approved a range of Hotel Menu Card to the market. Offered range is well tested thus extremely demanded in the market.